It is rare that customers fall into our laps. The stark reality is that in order to build your business, to identify and attract new customers, you need to pick up the phone and call them. Time and again we hear from clients that the mere mention of the word ‘telemarketing’ leaves even the most experienced sales people cold. It’s just not everyone’s cup of tea. But it is ours; we love making calls. Let us be your outbound telemarketing team. 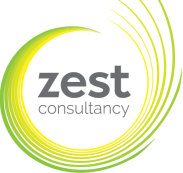 As a customer experience consultancy we are highly skilled and effective, not to mention veracious. Our team are professional, approachable and committed to generating the best results for you. We take time to fully understand your business, get to grips with the services or products offered and we have experience in most industry sectors. This way, we can work as a seamless extension of your team. Whether you need support on an ongoing basis to generate appointments for your sales force, or just a one off sales or research project, we’re happy to help.